In his first ‘class of 2018’ post, Leon Reid outlines what his daily routine looks like – from training to working multiple jobs that include 3:30am finishes – and still managing to give his best every day. 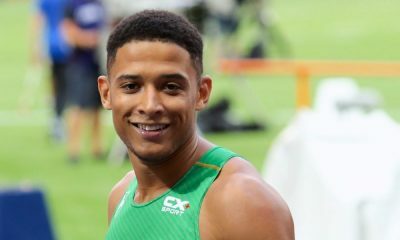 Everyone might think that being a top-level sprinter must be fun and easy, we go to the track for a little bit, then maybe the gym, and then we go home and be lazy. Then we get to travel the world doing fun things… I wish that was the case. I hope to outline that it isn’t as easy as this and share a few things from my own experiences on and off the track. Firstly I’ll walk you through a typical day in the life of Leon Reid. 8am: My alarm rings and it’s either stay in bed for as long as possible or get up and start making breakfast. So being the ‘lazy’ sprinter it’s always an extra 20 minutes. 10am: Training begins. This starts with a nice long warm up during the winter because as you know it’s usually very cold or raining outside. I won’t be keen to run 3x300m off 10 minutes recovery anytime soon. So a very prolonged warm up is essential. 1pm: Lunch is always on the move as I have to rush home and get changed before I start my coaching job at a local primary school. This keeps be busy from to 5pm. 5pm: A bit of time to chill before I go to my second job that night. A quick shower and catch up on the day, get some good food in and fill out my training diary. If I can get a cheeky nap in too I definitely take it. 9pm: It’s back to work, from 9pm to 3am I work in a local nightclub. It sounds daunting, but if I’ve had enough sleep and tactically napped in between 5pm and 9pm I’m usually all good to go. 3:30am: Usually a cold walk home praying for my bed and my electric blanket, hoping to not hear that 8am alarm anytime soon before repeating. Although my life is busy and draining it doesn’t stop me giving 100% in training… and behind all the hard work on the track there is a person simply trying to be the best he can be. My coach and I work day in and day out to make this dream a reality. This year is a big year for me with the Gold Coast Commonwealth Games only months away. It’s my second Games after competing four years ago in Glasgow. That experience didn’t go as smoothly as planned and it reminds me to heighten the importance of having a great support system around you whatever you are doing. My mum is my biggest fan and I couldn’t do it without her motivation and support. That year of Glasgow 2014, I had an accident in Belgium where someone ran into me and broke my cheekbone, nose, concussion an bruised ribs and shoulder – the whole works. In the middle of my Nan’s wedding reception, my mum dropped everything to drive to Belgium and collect me from the hospital. When it comes to racing, she doesn’t always get to see me race, but she always makes the effort to come to the big events it will be great to have her there in Australia cheering me on as she did in Glasgow 2014. 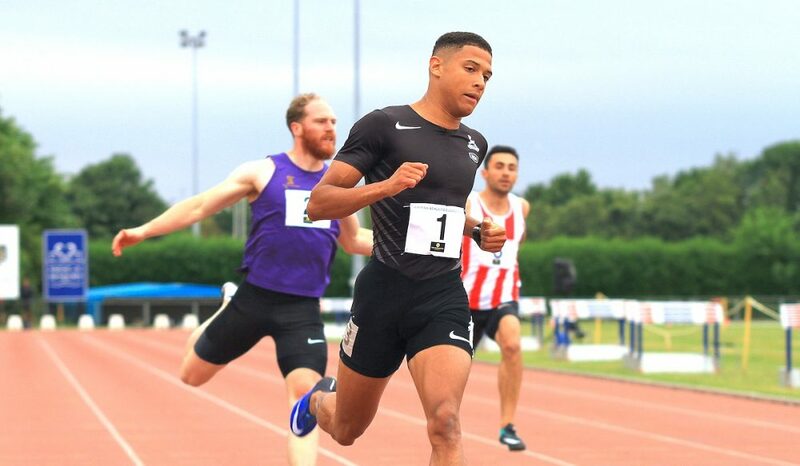 Next for stop for me will be the Irish National Indoor Championships later this month where I am aiming to retain my two titles in the 60m and then the 200m. 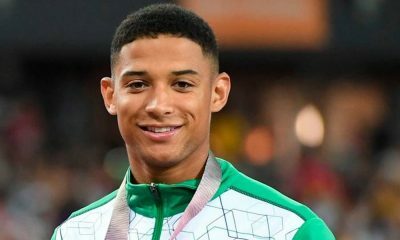 I cannot wait to be back on the track going for my third and fourth national titles – so look out for my next post where hopefully I will have some good news. To finish here is an insight into what an average weeks training looks like for me. Usually, a heavy gym session that almost kills us before the track. Then it’s an hour for lunch and then to the track to warm up for a technical session. For example blocks or foot positioning. And that’s a general week for me, not including the Sunday session, but that is usually a lactic buffer as in some 300’s or 250’s fast! 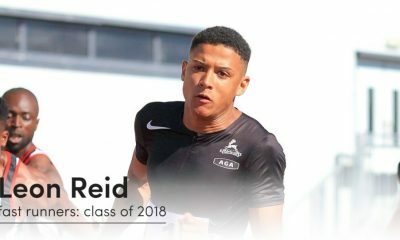 Leon Reid is part of the ‘fast runners: class of 2018’ and during 2018 he will share his running journey every month. You can find out more about Leon here and further information on the ‘class of 2018’ can be found here.